Tonight there is confusion and chaos in Freetown, as reports emerged of members of the opposition SLPP party storming Connaught hospital, where the Ebola burial teams were making arrangements for the immediate burial of Tamba Sam who died on Monday. 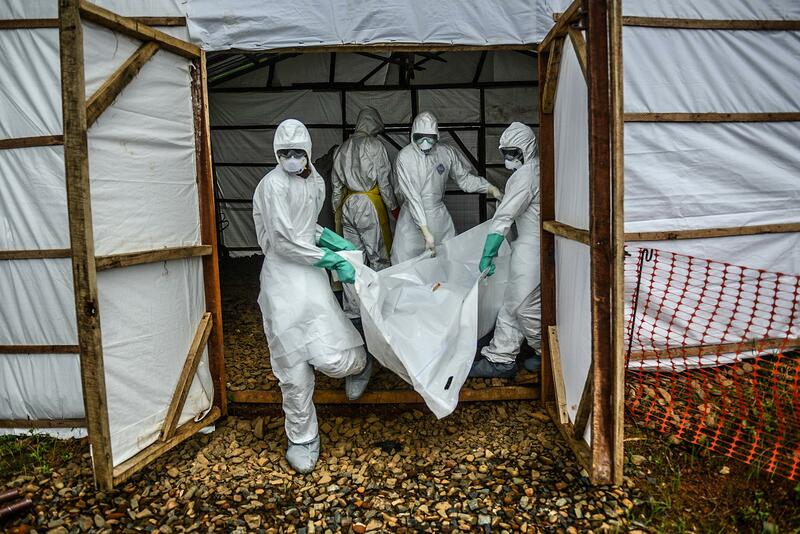 According to the Ebola state of emergency regulations, all burials – irrespective of whether death was caused by Ebola or not, must be carried out by the Ebola burial teams within twenty-four hours of death. The Sierra Leone Telegraph has been reliably informed that since the passing of the safer burial regulations, government officials and the police have been granting exemptions to those with connections in high places and can afford to pay bribes. Although the number of new Ebola cases has declined in the last three months by more than fifty-percent, there are serious concerns regarding the recent spike in the numbers, especially in the ruling APC party’s Freetown-northern heartlands, where Ebola has become firmly entrenched. Experts believe that the continuing practice of unsafe and unregulated burials, washing of the dead, harbouring of the Ebola sick in many areas across the capital and the north of the country, are making it impossible for Sierra Leone to achieve zero Ebola cases. In the last two months there have been cases of ruling party members organising public weddings and other social gathering that are banned by the state of emergency regulations. (Photo: President Koroma – breaking his own state of emergency regulations in November 2014). It seems the rich, and those politically connected with the government and ruling party are being allowed to recklessly violate the law with impunity. And tonight, as Tamba Sam’s body lay unburied at the hospital mortuary for over three days, contrary to the state of emergency regulations, questions are being asked by ordinary and poor citizens as to why they should abide by the law. 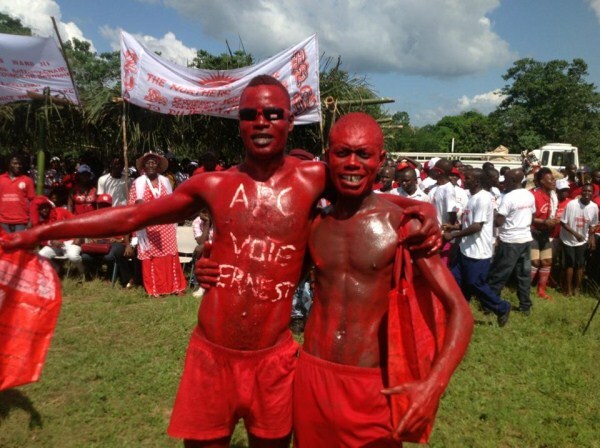 Lawlessness and the breakdown of law and order are two of the Koroma government’s weaknesses, despite the president promising to tackle these evils of society, which seem to stem from the corridors of State House itself. Why should the government and the police turn a blind eye to the lawlessness of the rich and powerful, and then whip the poor and vulnerable into submitting to the law? 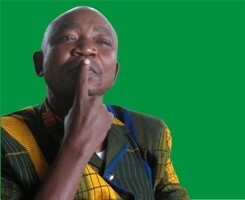 Tamba Sam was no doubt a very well-liked national figure, and a senior executive of the opposition SLPP party, but that does not make him any different from the thousands of families that have helplessly stood aside and watched their loved ones being carted away by the Ebola burial teams within twenty-four hours of death. This is not about politics or Tamba Sam. This is about the rule of law, which somehow this government has proved itself to be really useless at enforcing. “In recent weeks the trend of decline in new EVD cases in our country has stalled. Most new cases have been fuelled by unsafe burial practices. “The General Public is informed that the Standard Operating Procedures (SOPs), and in particular those around Safe and Dignify Burials, are a critical part of the response, if we are to get to zero; Ebola outbreak will not end unless all burials happen in this way. “However recent cases have come to the attention of the National Ebola Response Centre (NERC) where exemptions have been sought and granted. The Chief Executive Officer, NERC and the Chief Medical Officer would therefore like to reiterate that all bodies must be buried in a safe and dignified manner by approved burial teams within 24 hours of death, without exception. “This is irrespective of whether people have died at or in hospitals and whether they have died with Ebola like symptoms or not. Even if a certificate has been issued indicating a body has swabbed negative for Ebola, it should still be buried in the same safe and dignified manner. “The District Medical Officers (DMOs), District Ebola Response Centers (DERCs) officials, Heads of Municipalities and Councils and District security Commanders are all reminded that there are no exceptions, no exemptions, and no circumstances whatsoever where these SOPs do not apply and are required to immediately reject any request they receive to this end. What is clear is that this public statement is aimed at the poor, weak and vulnerable citizens of society, not at the rich and those politically connected. The Sierra Leone Telegraph understands that a dispensation has been granted for Tamba Sam to be buried on Sunday, 8th March, 2015 – almost one week after he had died. There are reports that this exemption was granted after stones were thrown by people demanding burial exemption for Tamba Sam. This ugly scene it is understood, led to violence erupting at the hospital where the body is currently kept. Tonight those in authority must bury their heads in shame, and take full responsibility for any decisions by ordinary citizens to disobey the state of emergency regulations. The government is weak and a total disgrace. They cannot enforce a simple law. Interestingly, I am sure if Tamba Sam was alive and this had involved someone else, he would have been appalled and demanded that the rule of law be respected. Once again, bribery and corruption has eroded another facet of society and it is disgraceful to know that the SLPP cannot control its supporters.